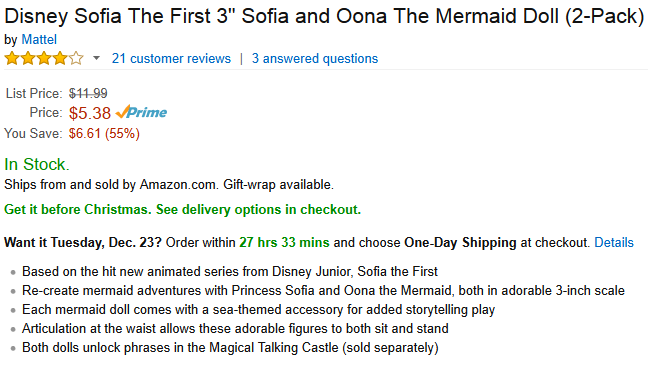 Sofia The First and Oona The Mermaid Dolls $5.38 + FREE Prime Shipping (Reg. $12)! You are here: Home / Great Deals / Amazon Deals / Sofia The First and Oona The Mermaid Dolls $5.38 + FREE Prime Shipping (Reg. $12)! Wow! The price is even lower than when we posted about this deal before! 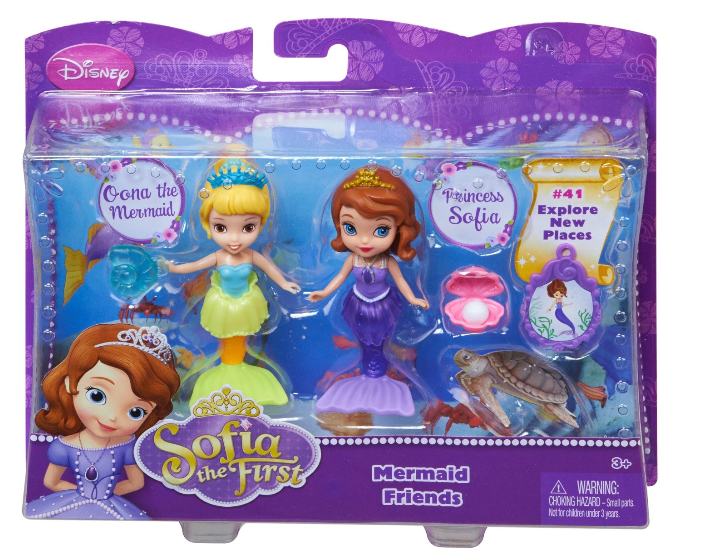 HURRY and grab this fun Sofia The First and Oona The Mermaid Dolls for only $5.38 (Reg. $12)! Your little Sofia fan is sure to love this!